Just because we’re a colocation company doesn’t mean we can’t help you with cloud solutions. In fact, our data centers’ infrastructure is tailored to maximize your server’s efficiency—and besides, “the cloud” is as much a server as the next! Let Colocation America connect you to the cloud with Hybrid Cloud solutions, we call “SmartE Cloud,” that will drive your customer base, grow your business, and keep you online 24/7. We understand the IT transformation into the cloud. Standard IT infrastructure is no longer good enough for enterprise level businesses. The cloud has come and is here to stay and Colocation America will connect you to it. If you don’t believe us, you can go ahead and read a first-hand account case study from one of our customers right here. Colocation America can connect to all the major cloud providers, like the ones shown above, and can help you set up your own private cloud. Contact us today so we can deliver the best cloud solution for your needs. Now that you know Colocation America can connect to the cloud, what makes us stand out? Colocation America’s Cloud services use multiple redundant systems which provide maximum protection for data and the server as a whole. With rollback snapshot capabilities, Colocation America’s cloud allows users to return their server to an earlier configuration without having to worry about settings or changed files. Your system can also run in “development/staging” or “production” modes simultaneously. The availability of Colocation America’s dedicated and private networks provides maximum performance for high-demand applications (like VoIP) and provides the security a business needs for their network. Colocation America’s Cloud’s completely redundant system allows for any one part to fail with absolutely no interruption or degradation in performance. Snapshot points within your cloud infrastructure provides a near-instant recovery solution for your systems. The archival storage process of our cloud system will provide you with the reliability you need for protecting your data. An option of Colocation America’s cloud allows you to automatically backup your data off-site, providing redundancy against natural disasters, etc. Reliability—Connecting to the cloud with Colocation America is more reliable than standalone hardware. By combining dedicated hardware assets with the cloud’s auto-failover provides the most efficient and reliable solution for all of your critical applications. Dedicated Assets—dedicated assets are a surefire, 100 percent effective way of guaranteeing performance and reliability in all environments, applications, and instances. Technical Support—All of Colocation America’s services, including connecting to the public cloud, comes with world-class support on all of your systems, allowing you to rest easy knowing a dedicated team of engineers who understand the aspects of your system are on-site and ready to provide you with the service and support you need, 24/7/365. 100 Percent Uptime—downtime is the biggest fear of any enterprise and IT professional. By connecting to the cloud with Colocation America, your environment is protected against all types of hardware failures via our first-class data center infrastructure. Get Your Custom Cloud Solution with Colocation America today! What you may not realize is that the major cloud providers place their equipment in a high-performance colocation environment. Instead of shoveling out cash for building out individual network loops to the cloud (and all your service providers! ), a business can colocate their existing IT inside one of Colocation America’s data centers to cross-connect to the cloud via the existing data center infrastructure. Boosting your overall business performance by reducing or eliminating entirely any latency in connecting to cloud providers through other service providers. Gives you unlimited flexibility in how you grow your business IT through the cloud and otherwise. Changes can be made in your cloud provider in real time through a simple cross-connect within the data center. Equipment can be added, removed, and supported by an expert 24/7 staff. Reducing your overall cost (and overall headache) by lessening the number of network connections needed to access your IT. Competitive pricing on network products which connect to our cloud-enabled data center. How Does Colocation America Help Improve Cloud Environments? As mentioned above, a server is only as good as its environment. That’s why many switch from in-house hosting to hosting in a data center. They do that because of the security, speed, power, and cooling found inside a data center that is second to none. Colocation America’s 22* data centers across the country each offer superior bandwidth, state-of-the-art cooling, redundant power, 24/7 security, and 100% uptime. Any server housed within an environment like ours will excel and operate at maximum efficiency, whether it’s used as a cloud service or not. As an added bonus, our expert technicians are on-site 24/7 readily available to help you with any of your private or hybrid cloud needs. Why wait? Get started by connecting to the cloud with Colocation America today! *Colocation America’s “SmartE” Cloud is available as stated above in Los Angeles only. Please call a sales representative for assistance with our Cloud Services in other locations. No matter what kind of cloud your business needs, Colocation America can connect you to it. Speak with our knowledgeable sales staff to find your perfect cloud solution today! Get on the Cloud Already! It’s time to get a little technical here. The cloud is based on basic server technologies which allow a virtually unlimited amount of machines to act as one system. This is different than other server solutions, such as dedicated or shared, which use just one or a few machine. As such, the cloud is typically sold as a service not unlike a power or gas bill. This allows users to pay for only what they need and use as they could tap into more service (like RAM or storage) depending on month-to-month demands. For example, Google’s infrastructure is hosted on the cloud. They have a massive (and I mean massive) network of servers spread over multiple locations. This allows Google to stay online forever—when’s the last time you remember Google being down? So, basically, the cloud is just software on a dedicated server(s). You might be wondering what a Hybrid Cloud solution is and why Colocation America can help. Well, let us explain. A hybrid cloud computing environment operates on two or more IT infrastructures (in-house, colocation, private cloud, or public cloud) and allows you to select the best environment for the workload at hand. Therefore you get the stability of, say, a colocation environment with all the processing and storage capabilities of a public/private cloud environment. In other words, a hybrid cloud environment optimizes which environment should handle which process to ensure your workload is handled in the most efficient manner. As mentioned, the landscape of the modern-day data center is driving higher performance for a lower cost. Thusly, cloud computing is growing ever more popular. Businesses—especially SMBs—are moving their in-house IT to public/private cloud environments and the like to reap the benefits of the hybrid IT infrastructure we detailed above. 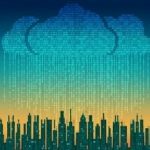 It’s no longer logical for an enterprise to dedicate so much money and time to a dedicated IT team and on-site equipment, when the option to connect to the cloud and have their IT services managed for them is available for a similar or, much more likely, lower price as their existing environment. However, there are some things to consider if you’re wonder whether or not to move your IT into the cloud. If your business is considering moving their IT into the cloud you will need to build separate networks to each cloud provider that you employ. And you’ll want the most secure, highly-available solution which means you’ll probably invest in redundancy and and many other bells and whistles through the cloud provider. Colocation America is here to help with that. Ready to Experience the Cloud? Of course you are. And Colocation America is here to connect you to it. Let us be your tour guide through the atmosphere of the IT world. Become a Nephologist (Cloud Scientist)!